Surf Loft brochure design Malaysia offers top quality brochure, company profile and catalog design services. Completed over 250 projects, preferred by SMEs & international corporate. SURFLOFT offers brochure design service for business to grow their sales number through highly effective graphic design service and concept. The brochure is created to convince and to drive faster sales response to your business. * Use tested ways to increase response rate. * Build strong brand image. Beautiful brochure itself is never enough. 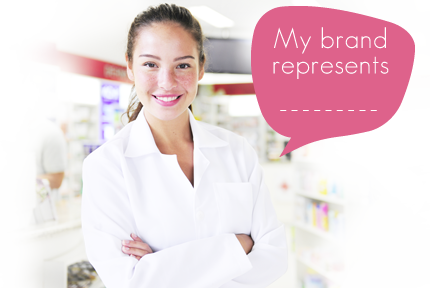 Brand identity is a must to stand out and differentiate from the rest of the competitors. Regardless the size of your business, many of our tested branding techniques can work for you. Create a strong brand and grow your business now. There is big difference between good quality and marvelous quality. On average, you only have a few seconds to attract and impress your potential clients before they throw it away. 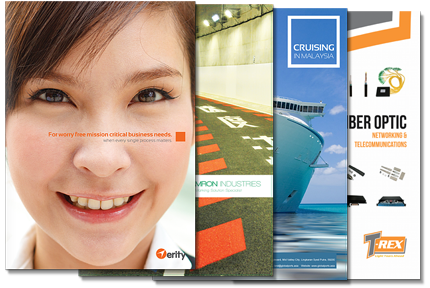 Combining visual technique and creative concept, our brochure design Malaysia promises deliver marketing materials that truly effectively in sell your product benefits and increase the sales response rate. Through out many years of experience, we have established our very own brochure design process which help us work more effectively and providing the best result for your marketing goal. Contact our business consultant at +603 7887 8688 for free tips and guide.